Play 501 Darts tournaments against the computer. The computer AI players are quick thinking and are chellenging for all levels of players. Can you win the Pro Cup? 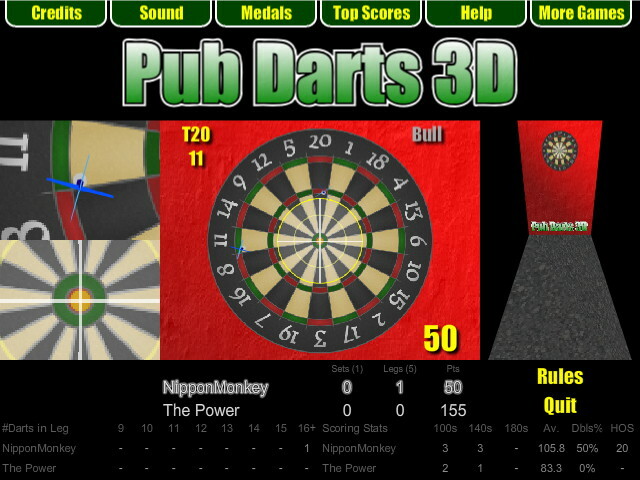 Pub Darts 3D keeps track of all of your 501 darts stats so you can see how you're really doing.Pub Darts 3D.